I've been waiting twenty-five years to write this book. It's a book that I always knew I wanted to write, but I always knew there would be a right moment for this book. And I know this is the moment. The world needs changing. Our churches need to be transformed. They need to be re-energized. And books change our lives. I've been telling you that for twenty-five years because that's what I see every day. I see people reading a book and it changing their lives. And this book? Already we see it changing lives. Already we see it transforming churches. How many people are in your church? You got five hundred people? You got a thousand people? You got two thousand people? You got five thousand people? Imagine if every person in your church read this book and then passed it on to one other person. Let's say there's a thousand people in your church. They read the book, they pass it on—that's another thousand. That's two thousand. They read the book, they pass it on, that's three thousand. That's how Christianity transformed the world. We've got to stop hiding our faith. We've got to stop hiding our light under the bushel basket. We are the light of the world. We've got to get out there and change the world. Books change our lives. This book will change your life. It'll transform your church. Aren't you curious yet what the biggest lie in the history of Christianity is? Imagine if every person in your parish read The Biggest Lie in the History of Christianity. Imagine how their lives, and the lives of everyone around them, would be transformed. The truth in this book will transform your community, one person at a time. Take the first step in transforming your community by giving everyone in your parish a copy of a life-changing Catholic book this Christmas. For just one more week, you can order The Biggest Lie in the History of Christianity for your parish for just $1 (plus 50 cents shipping) per copy. Want to learn more about the book? 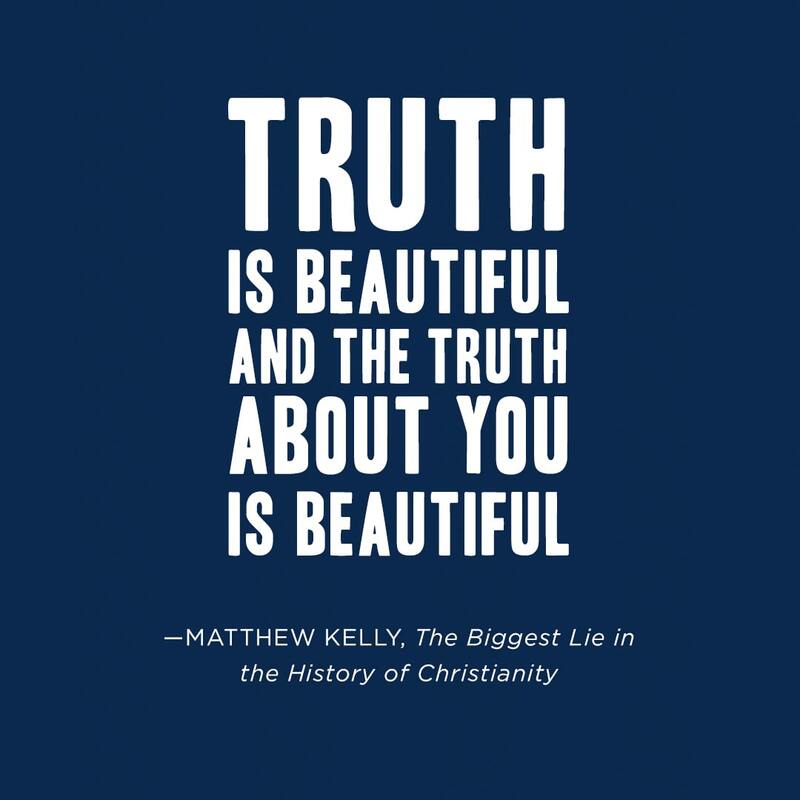 Sign up for Matthew Kelly's Overcoming the Lie video series. Every Monday until December 3, you'll receive an email with a video of Matthew sharing key themes from the book—and practical ways to apply the themes to your life.